A friend of mine, D, recently went on a trip to Myanmar. I watched her updates from home and was insanely jealous. I asked her to put together some highlights of her time in this little known, little traveled country. Take it away D! Whenever I told anyone I was going to Myanmar, the reaction I got was, ‘Where’s that?’ Myanmar, formerly known as Burma, is located between Bangladesh and Thailand. Why travel to Myanmar? Why not! It’s a country where a couple of years ago tourism really began to take off. In planning this trip I spent hours upon hours reading travel forums, blogs, and trip reports, to gain a sense of what to expect. In all, the trip took us to Central, Eastern, Western, and Southern Myanmar over a span of 21 days. We booked everything ourselves and only used a local travel agent while in Myanmar to book domestic flights (as you cannot do this independently). 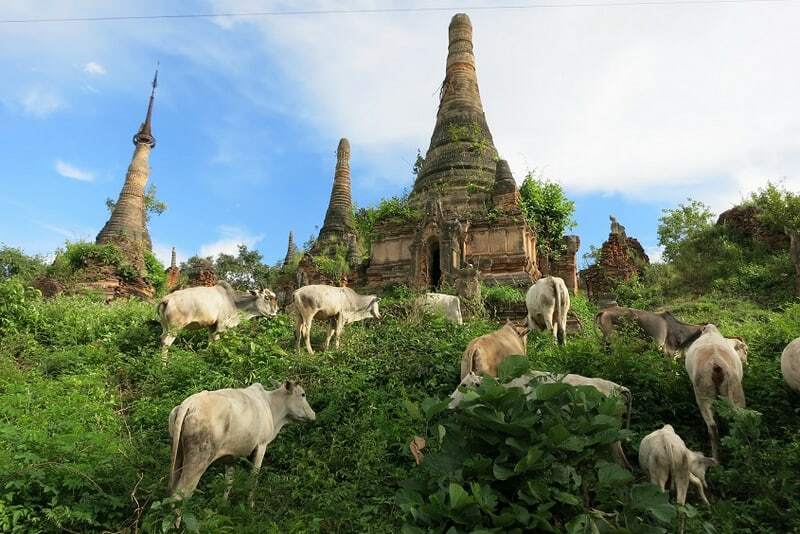 The temples of Bagan are one of the most popular tourist destinations in Myanmar. Despite having this designation, the sights were not crowded. It’s very possible to be alone while exploring the temples. In addition to the larger temples, there are many smaller stupas dotting the landscape. The entire site is well restored and there are few ruins to see. High season is generally November to February. We went in October, and the heat did limit how much exploring we could do. Tip: Rent an ebike to cover the main sights. If you want to venture off the paved roads, rent pedal bikes as ebikes tend to fishtail in the loose sand. Inle Lake is a wide shallow lake nestled in the mountains of Shan state in Eastern Myanmar. Due to its location, the weather is much milder. One of the defining features of Inle Lake are the ‘floating’ villages, complete with floating gardens. Boat tours are the most popular tourist activity, and they are well worth it. The highlights of the boat tour was the local market and the ruins of Indein. Tip: Rent bicycles and bike the ‘loop’ (not a true loop – Inle lake is too large!). You’ll see different things from the slower pace of a bicycle. 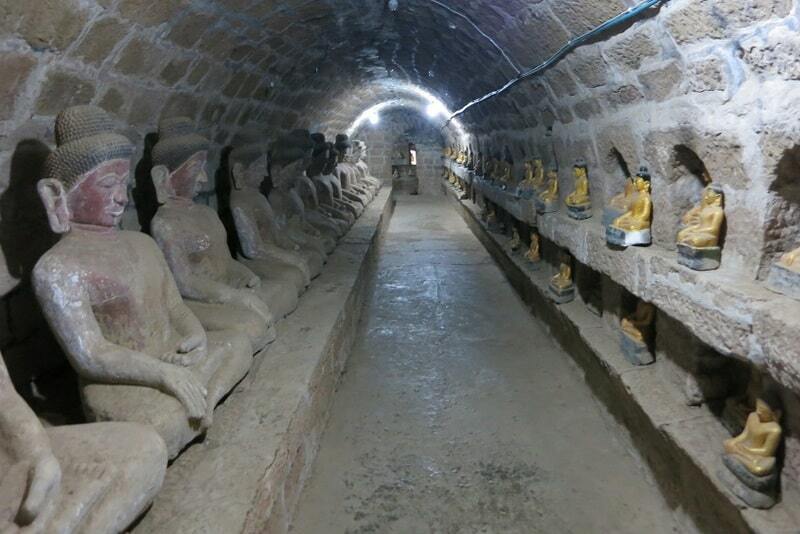 Mrauk U (pronounced mraw-oo) is located in Western Myanmar and is the site of an ancient Rakhine kingdom. The draw here are the many temples and stupas remaining from the once prosperous city. 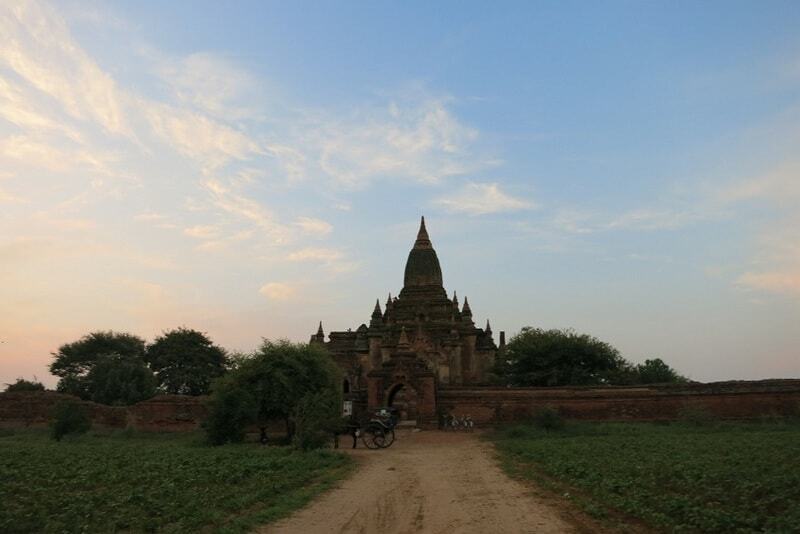 The temples here are built in a different style from those found in Bagan or elsewhere in the country. Additionally, the remote location means that the traditional village life is truly preserved. It’s not uncommon to see kids playing and climbing on the stupas. Tip: Hire a motorickshaw to take you to the temples. The access roads are not well marked. While there are bicycles for rent, the roads are in such poor condition that it isn’t a comfortable mode of transportation. Maungmakan Beach is located in Southern Myanmar. We wanted to relax at the beach for our final destination. Myanmar had other more developed and well known beach destinations, and that is exactly why we avoided them and headed south. Maungmakan is a locals beach destination. The highlights include a long swimming-friendly beach and many delicious huts to eat fresh seafood from. You can also use it as a jumping off point to explore other beaches nearby. 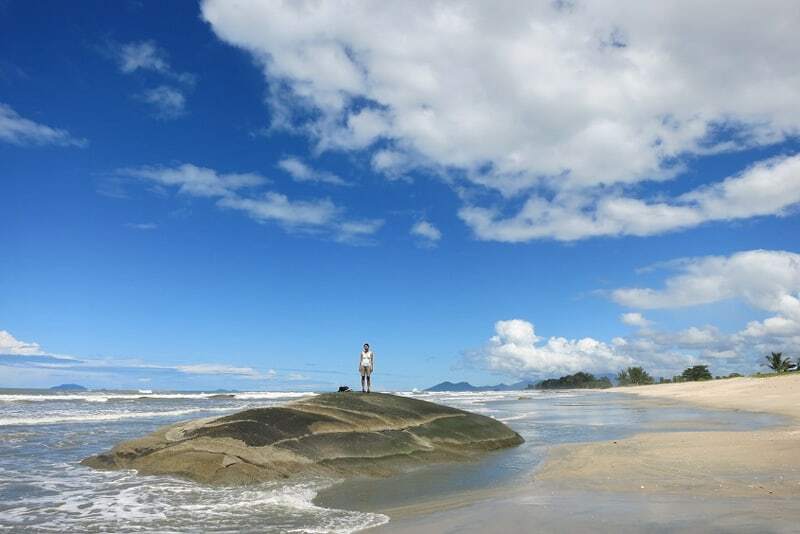 Tip: Rent a motorbike and visit deserted Nabule beach, located 25km away. The roads are mostly empty and in fairly good shape. Newbie riders (like ourselves) managed fine. Thanks D! Have you been to Myanmar? What were some of your highlights? D likes to visit places less traveled and is slowly trying to see the world. She has traveled to Myanmar, Taiwan, India, Nepal, China, Mexico, and Cuba. Her next goal is to set foot in South America. She lives in British Columbia, Canada, and truly believes that it is the best place on earth. Follow along on her adventures on her blog. Myanmar is on ‘my list’…I’d particularly like to see Shwedagon Pagoda. It must be quite an amazing sight. It looks like your friend had a fabulous trip. The time to go is now, before everyone “discovers” Myanmar and head there in droves. I’m with ya on the pagoda. Looks stunning especially at night. One of my friends taught there last year but he often said that if you want to see it, you should go there now. I know things are changing there and I would love to go there soon!! 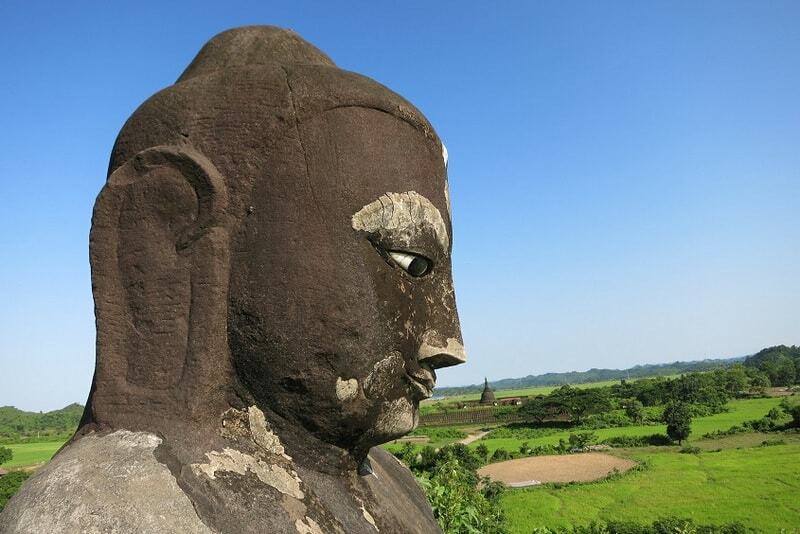 I really want to check out the Mrauk U! Hubby and I were there for 15 days this Spring. Agree that Mrauk U is an amazing place. Valuable to hire a local resident guide there to get historical and political insights. Fascinating. And be sure to go up river on a long journey to local villages to visit with the spider-web faced women. Quite unbelievable to see how people make a living there. Agree also that it is wise to go now, before hordes of tourists descend, although that is probably unlikely for quite some time in Mrauk U. We only spent one night in Yangon but wish we had spent more time there. One piece of advice, be sure to bring a face mask or a bandana. The dust is overwhelming. Thanks so much for all your tips! All good to know for planning a trip to Myanmar. The country sounds so stunning and I’m hoping I’ll get a chance to visit soon. Myanmar is long over due for me! I should get planning on this one! Thanks for sharing your experience. I hope you get a chance to go soon! Everyone’s response to this is to go now before it all changes. I’m starting to read more and more about Myanmar and it sounds like an incredible country. Great photographs and hopefully I’ll make it there sometime soon. I hoping to do the same too. Fingers crossed!